These replacement Window Regulators are just what you need to get your vehicle in good shape again! 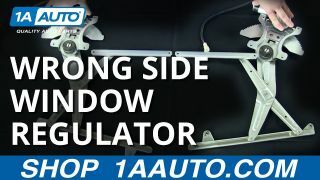 These Window Regulators make good replacements and have substantial cost savings over the dealer units. Please Note: These window regulators are designed to work with factory style motors only. Due to variations in aftermarket designs, replacement motors may not have the correct gear style.